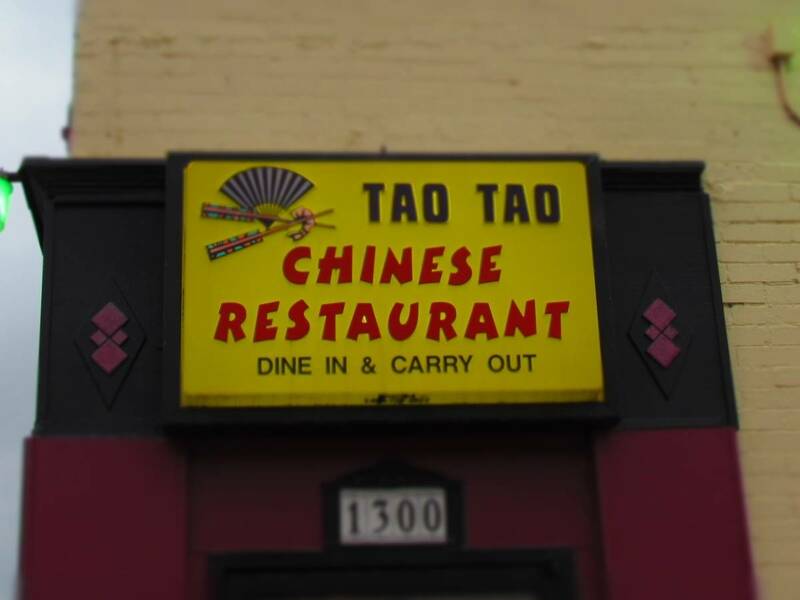 Tao Tao Chinese Restaurant has a long history of serving downtown Kansas City, Kansas. This shop, at 1300 Minnesota Avenue, has been dishing up popular menu items since 1970. Some customers have been frequenting this location since they opened. Others have just recently stumbled upon the heaping mounds of fresh Chinese food that they dish up. We want to thank Tao Tao Chinese Restaurant for their hospitality. Rest assured all opinions are our own. When customers enter Tao Tao they are usually greeted by Chef Annie. This feisty woman seems to remember every returning customer, and greets them with playful banter. Her two sons work beside her, and help prepare the delicious, and plentiful items that fill the menu. 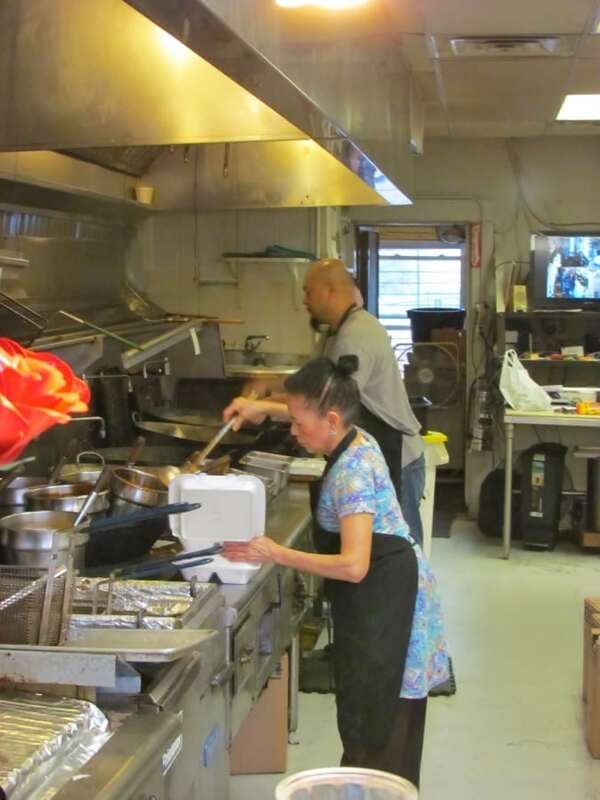 They work feverishly in the galley style kitchen. Watching them dart back and forth is almost like a dance, except it ends with the delivery of tasty morsels. Customers lean toward carry-out orders, although there are a couple of tables available for diners. The steady flow of people highlights the popularity of this place. The menu at Tao Tao Chinese Restaurant has plenty of the dishes you would expect for the cuisine style. 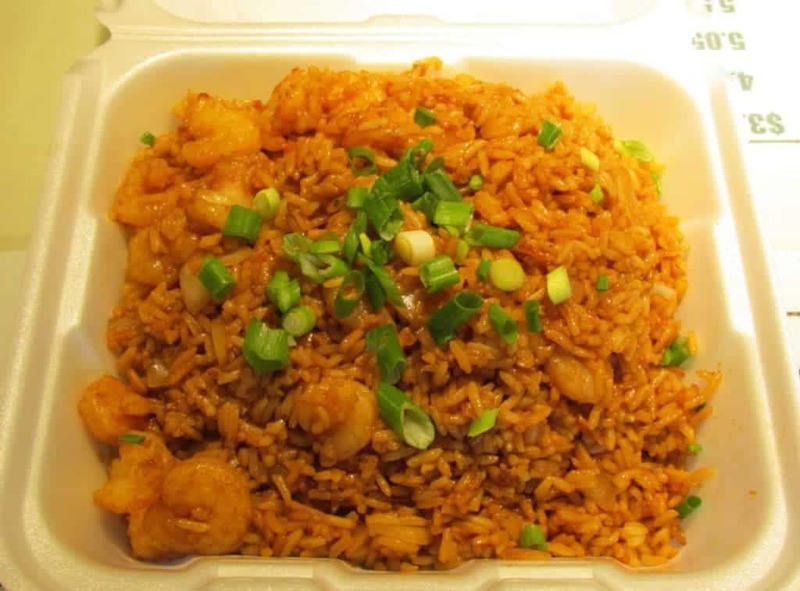 Beef, pork, and chicken play heavily in the offerings, but Shrimp Stir-fry Rice is actually one of their most popular dishes. Most of the items they sell come packaged for travel in Styrofoam boxes. These are standard size containers, but when filled, they hold enough food for two, three or even four people. By the way, that is the small size. When you order at Tao Tao you certainly get more than your money’s worth. On our most recent visit we sampled a few of the menu items. 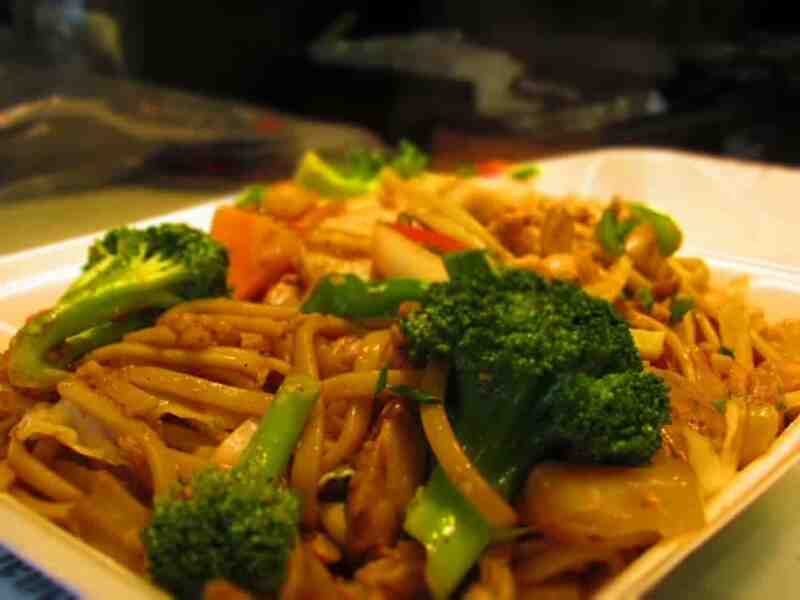 Chicken Lo Mein is served up in the same abundance as the other dishes. Cooked to a delicious tenderness, it is loaded with tons of vegetable pieces, and plenty of chicken. Somewhere in one of my bites I realized just how well the slight crunch of the water chestnut slices blended with broccoli and carrots. Anchored by the chunks of flavorful dark meat chicken, this is a dish that can easily become the star of a multi-course meal. Whenever we buy takeout we have to recognize our son’s desire for something a little on the spicy side. Tao Tao has this covered on many bases. I saw about two dozen dishes noted for their heat factor, and after a quick deliberation we chose the General Tso’s Chicken. 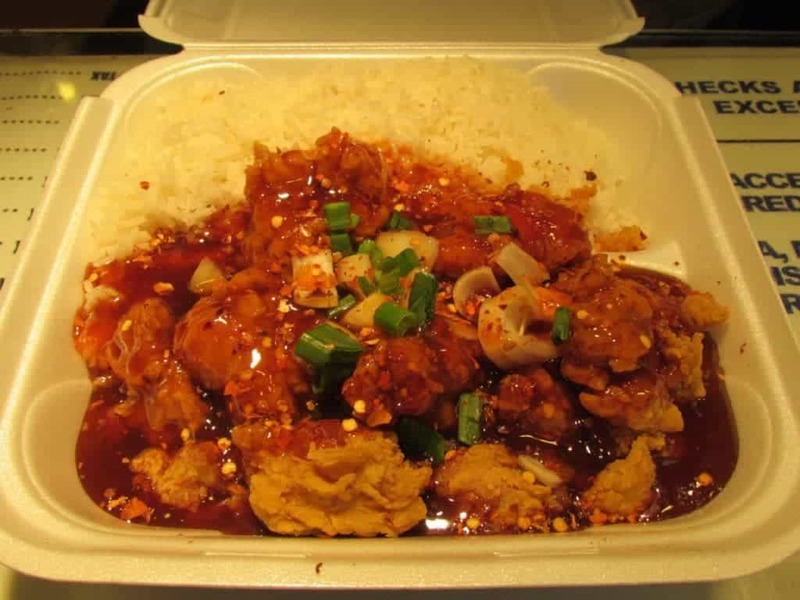 This dish contains crispy chunks of breaded chicken swimming in a slightly sweet sauce. The addition of hot pepper flakes certainly kicks it up a notch, and in reality probably two notches. Fortunately, the overall heat can be regulated by blending it with the steamed white rice. 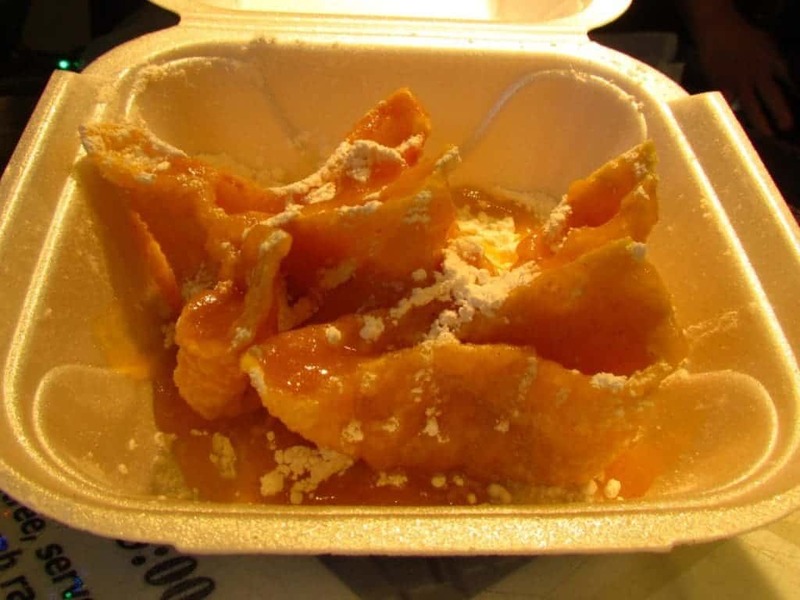 Crab Rangoon is a staple item that has become synonymous with Chinese cuisine. 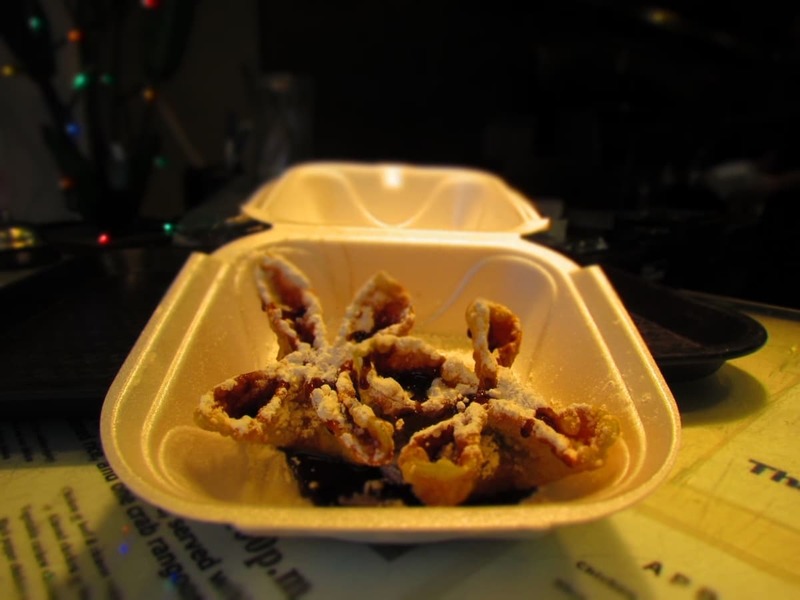 In almost every review we read, people discuss the quality of this menu item. Some focus on the crunch of the shell, while others highlight the amount of garlic flavor, or lack there of, in the filling. Everybody has there go-to place for Crab Rangoon, so we are not even going to post any pictures of the ones from Tao Tao. 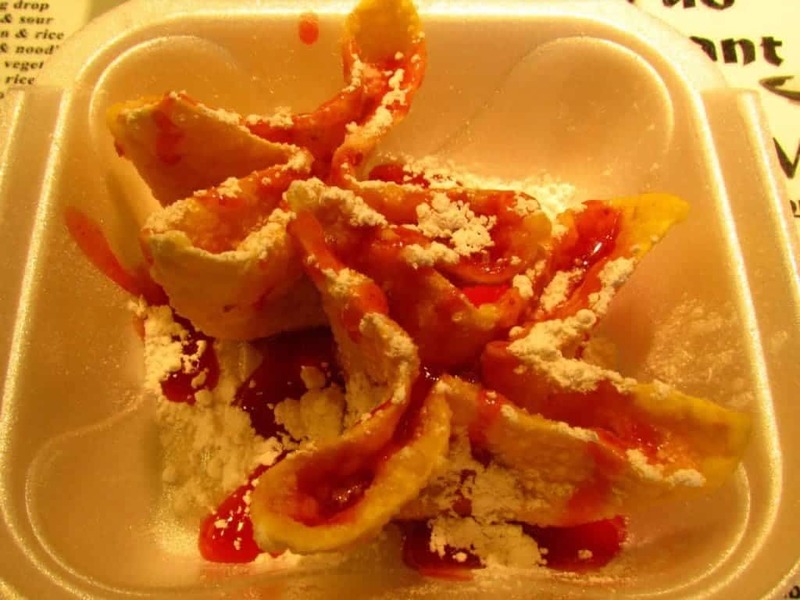 Instead, we are going to focus on a Rangoon that we have never experienced at any other Chinese restaurant. We are talking dessert Rangoon. Yes , d-e-s-s-e-r-t Rangoon! Irvin, one of Chef Annie’s sons, is quite inventive when it comes to these crispy treats. While most think of Rangoon as an appetizer, he sees them as a vehicle to hold an assortment of fillings. Not wanting to be limited to the status quo, Irvin has spent quite a bit of trial and error developing variations. It takes just the right preparation, refrigeration, and presentation to create these marvels, and the taste is definitely worth his efforts. During our visit he had strawberry, chocolate chip, and peach varieties available, and we just couldn’t decide which to get. The only solution seemed to be ordering a couple of each. Every one of these tasty morsels are packed full of sweetness, but my favorite would end up being the peach. To me it tasted just like peach cobbler. All of his testing has also ended up with additional discoveries. A wide variety of sweet combinations end up on the menu, but they are so delicious that they usually sell out early. There are also a few savory variations that Irvin has created, as well. Spinach-garlic, Bacon-jalapeno, Bacon-cheddar or Pesto-mozzarella can be found at various times. These are also in high demand, so come early and often to sample them all. That is part of the excitement of a visit to Tao Tao Chinese Restaurant. You never know just what special items may be on the menu, but you certainly can be sure you will get plenty of good food for your money. You will also probably get leftovers for lunch the next day.